Add edamame and corn to boiling water and cook for 1 min and drain and run cool water over and drain again. 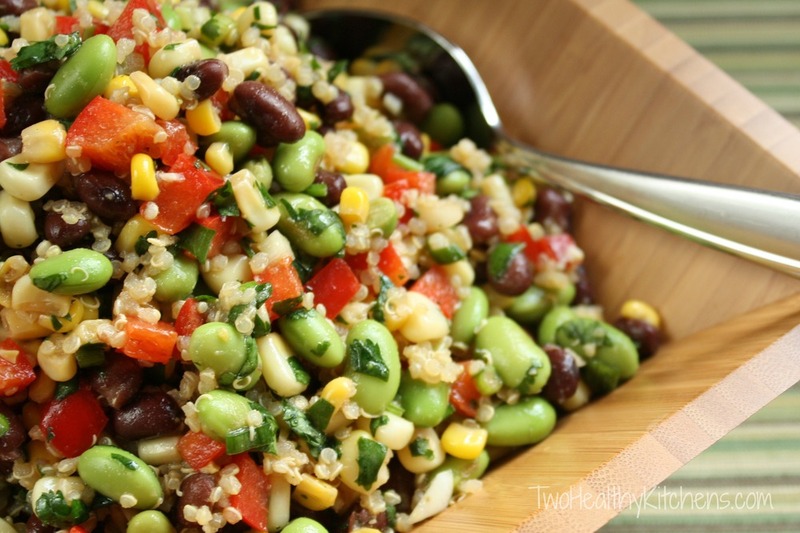 Add edamame, corn, quinoa, green onions, pepper and cilantro to a large bowl. In a small bowl mix oil, lemon juice, mustard, salt, pepper and chili powder. Mix well. Pour dressing over quinoa salad and stir well. Add cooked, diced chicken to make it a meal!